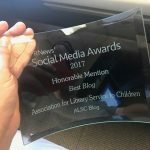 For new (and old) ALSC members, conferences can seem overwhelming. 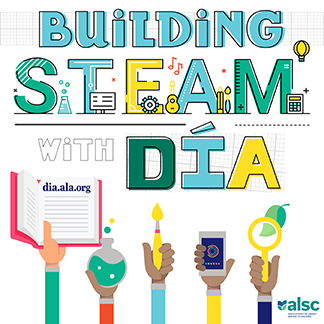 The ALSC membership committee wants to meet you and welcome you to ALSC and to Denver! 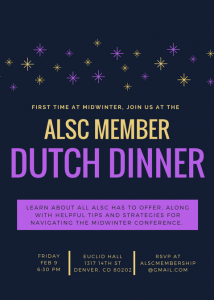 Why: To learn more about ALSC, eat delicious food, make new friends and learn how to conquer the weekend! There’s More! : After dinner, a group will head to the United States Board on Books for Young People (USBBY) event featuring illustrator Jillian Tamaki. Anyone interested is invited to join. This is such a great idea! It’s really disappointing a restaurant was picked that has so few options for vegetarians/vegans/folks with other dietary restrictions.